Position: How Tos - Data Recovery - How to Recover Formatted Hard Drive? When you format a hard drive, you may think all your data has been lost forever. The formatting process will remove all the data information on the hard drive – but the formatted data is not lost forever. With right unformat tool, you can restore all lost data from the formatted hard drive. Today, we will show you an easy and efficient way to recover formatted hard drive. In order to unformat hard drive, you need special hard drive unformat software. The unformat software will scan your hard drive and help you restore all formatted data. DiskGenius is the mentioned unformat software in this article. It is one of the best hard drive unformat software. It supports to recover formatted hard drive and recover formatted data from portable hard drive, memory card, digital device, etc. 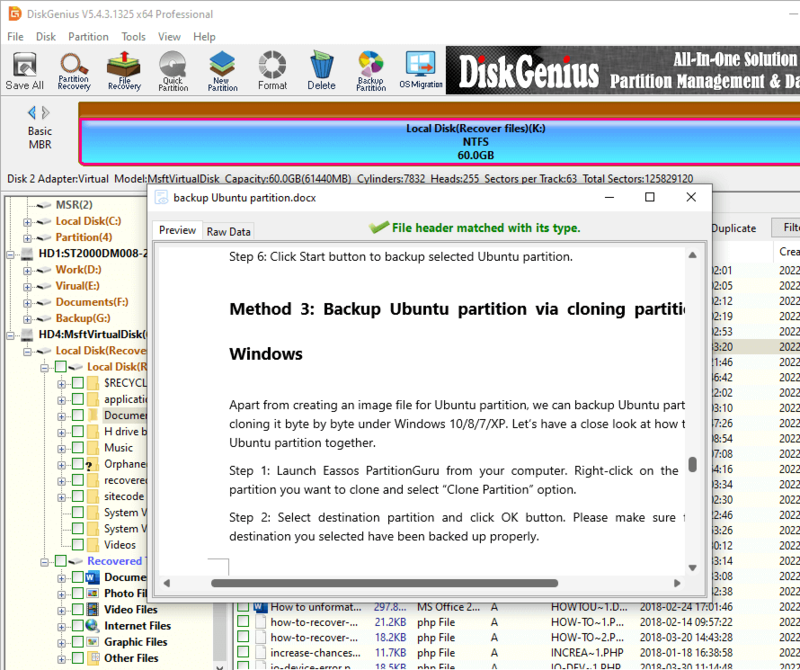 Actually, DiskGenius is an all-in-one disk recovery & management tool. It offers powerful solution to help in recovering formatted hard drive even the hard drive was formatted many times. It is complete DIY data recovery tool. It means even the most newbie can use it to recover formatted hard drive. Just download and install it on your computer when you are going to unformat a hard drive. Is it difficult to use DiskGenius to unformat hard drive? No. This software is fast and simple. It was designed with clean interface. Just follow the simple guide below. With DiskGenius, you can easily recover formatted hard drive. But, before you start the work, don't save new data to the formatted hard drive because new data will overwrite the formatted data on your hard drive. Now, just launch DiskGenius and start to unformat the hard drive. Here is the step-by-step guide. Step 1 Choose the formatted hard drive. After running DiskGenius on your computer, you will see all hard drives on your computer. Just choose the formatted hard drive. Then click to select "File Recovery". Step 2 Scan the formatted hard drive to find all lost files. Click on "Start" button, DiskGenius will deeply scan the formatted hard drive and find all lost files. You can pause and stop the scanning process when you have found your lost files. But, it is strongly recommended to recover your data till the scan is completed. Step 3 Preview and recover lost files from formatted hard drive. After scanning, DiskGenius will list all recoverable files. It allows you to preview the recoverable files. Then select the wanted files and save the files immediately. Please don't save the files to the formatted hard drive in case that the saved files would overwrite the lost files on the formatted hard drive. That's how to unformat hard drive with DiskGenius. Only within 3 simple steps, you can recover all lost data from formatted hard drive. 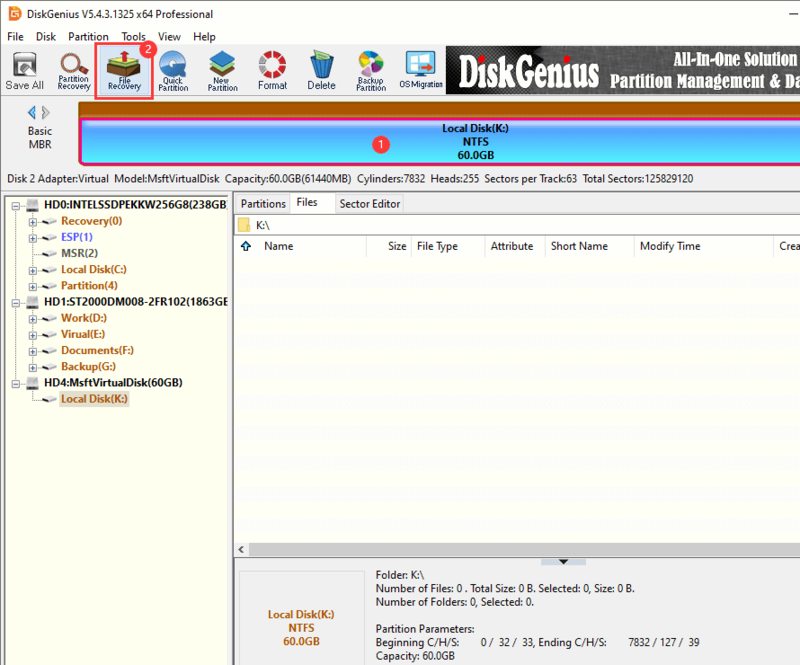 DiskGenius even can help you unformat damaged or inaccessible hard drive. This powerful hard drive unformat software also can help you recover formatted data from memory card, digital camera, USB flash drive, etc.